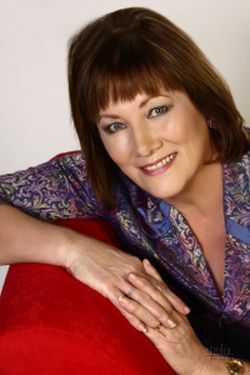 Serena's Image has proudly provided interior design, styling, decorating courses and colour training since 2000. See the various workshops on the Decorating & Styling Workshop page (on the drop down tab). This creative course will give you a thorough understanding of the key concepts used by professionals. You will learn how to develop colour schemes, decorating to suit lifestyles, property styling, wall treatments, textiles and their application, floor plans and traffic flow, architectural styles & periods. colour and product selection etc. etc. This course will give you the confidence to be able to work to a project brief and advise clients on interior decorating and design projects. You will be able to create concept and mood boards with professionalism and at the end of the course you will have a portfolio of work to show your potential clients. Don't miss out on your place with intimate class sizes and limited spots available. Your instructor is a practising professional Interior Designer & Decorator, also working in Stage Design, Colour Consultancy and Property Styling, Project Management, Commercial Design. The training is industry recognized and students are sent from building & design firms, rendering, tiling & painting companies, property staging businesses and home designers. This exciting career does not demand a university degree or other academic qualifications in Australia. Learn what the industry requires to gain the necessary skill-set. By definition you become a professional interior designer/decorator with your first paid assignment. This experience will be exciting and rewarding! We have a great range in our library of samples and reference material for use on your concept & mood boards. A fabulous kit is included in the course plus refreshments during lessons. Learn the business skills you need to start your new career including pricing, scheduling, contracts and client communications skills. 1 Introduction to interior decorating with colour and style, colour psychology, personal colour, the colour wheel, colour harmony, colour themes & colour analysis. Colour confidence. Decorating styles to suit lifestyles. Architectural styles and periods. Analysing your personal style and bring out your inner stylist. Proportional colour exercises. Getting started with Style files. Naturals/ neutrals and how they work. Intro to mood board presentation. Traffic flow. Space planning & furniture placement, decorating tricks from the experts. Detailing– the finer points and finishing touches. Art, China, Floral Art etc. Window treatments & upholstery. Decorating textiles and their application. Flooring & Ceiling applications. Focus on walls and evaluation. Presentation on walls for week 9. Elevations/Scale/Plans. Colour and product selection schedules. Residential Interiors. Planning effectively, Commercial Interiors-workplace solutions for your design office, Business set-up.quotes, fee structures trade contacts, Marketing your newly acquired talents, Keeping abreast of new products, trade events. Find out how personal style preferences effects colour choice. Learn how to use colour as a personal expression of you or your future clients. Create moods or atmospheres which calm, excite, take you to exotic places, reassure you or even add a bit of drama! Understand the basic principles and application of colour theory. Find out how to be creative with colour schemes as part of a total concept. Make colour choices using guidelines from the colour wheel and understanding of the characteristics of colour. Use colour illusions to change the balance of a room and find out how to maximise and minimise the details in a room. Bring colour to life and be inspired with colour and decorating options to challenge the decorator in you. Discover the endless possibilities of colour coordination to present mood or concept boards for clients or for simply planning your own home décor. Begin your own colour and style reference file and you will be surprised at how quickly it all comes together. This inspirational course will give you a thorough understanding of the key concepts and terms used by professional interior designer/decorators, with an insight into concept boards, colour schemes, soft furnishings, window coverings and more. At the completion of this course you will be able to advise customers on interior design projects, including recommending soft furnishings and design decorations to a brief. Create concept, mood, colour and materials boards with professionalism and graduate with your own portfolio to entice future clients or employers. This course is available part-time in studio- three hours a week plus allow to three hours + per week for homework assignments. Day and Evening Classes are available. No classes are usually held during the school holidays. Two intakes per year. Class size is limited to allow each student the personal attention they require. You will receive a Diploma on completion. A payment plan is available. Secure your place now with just $300.00 deposit. Graduates will have the knowledge to move forward with their own professional or personal interior projects. SI graduates have gone on to pursue careers in interior design & decorating; building supply industries; decorating for prize homes; decor retailing; styling; visual merchandising; property styling and starting their own business and decorate their own homes. Enrol now for courses starting 2019 and get clued up on colour & design! Short courses in Styling & Colour for Interiors are also held- see details below. Discover how to analyse spaces and find your inner decorator, to be able to work on client projects or your own personal space. Find out how to create balanced schemes and produce stylish interior spaces. 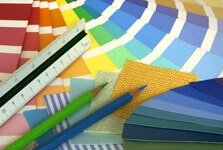 Style & colour is a six week course and is the first 6 weeks of the Interior Design & Decorating Course. Inquire now! We also run bi-monthly workshops in Decorating & Styling and courses in Home Staging & Styling which includes practical exercises, working with a brief to give you an edge on your styling projects. New dates are regularly added so if you have missed out please inquire for the next time. Serena's Image reserves the right to publish videos or photographs taken during class on their Instagram & Facebook pages (for promotional use only). No names will be used unless by arrangement. If you do not wish to have any images published, please advise at the time of enrolment. Interior Designer, Decorator, Stylist, Certified Colour Analyst, Stage Designer, Property Stylist & Visual Merchandiser and owner of Serena's Image. Her portfolio of work includes new builds, whole house renovations, multi story buildings, colour & styling consultations.